The bedroom should be your haven, a place to escape the stresses & pressure of the day and where you can just switch off and relax. To achieve a haven in your bedroom you may decide to choose a fitted wardrobe that has a subtle effect and gives a touch of elegance, or you may opt for a sharper style. Regardless of the style you choose they are available in many bold and natural tones. Most rooms will benefit from fitted furniture, and with the guidance and support of a good designer you will overcome any uneven alcoves and out of proportion walls to create a beautiful sleek finish. Do you have an abundance of suits, dresses and shirts, or do you have a passion for shoes? The key to the perfect fitted wardrobe is to choose from the range of options available that will reflect your lifestyle and which covers all of your storage needs, be it hanging rails, shoe/trouser racks or pull out shelving. As well as the actual storage within the wardrobe give some thought to the kind of doors you would like. 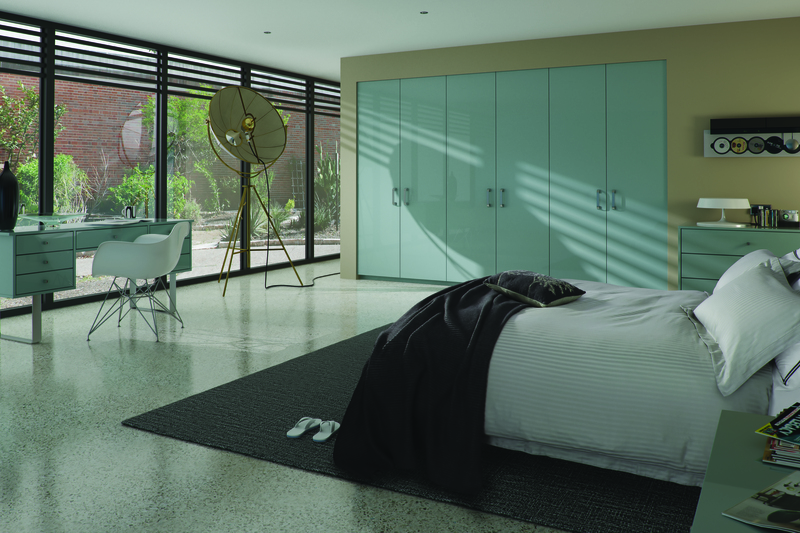 A small wardrobe will benefit from mirrored doors as it will create an illusion of space, whilst a larger bedroom will benefit from having a full length mirror in one of the doors (or more) and free up floor space.